Marygreen Manor01277 225252work RestaurantSet in the historic setting of Marygreen Manor Hotel, the multi-award winning, Tudors Restaurant offers a fine dining experience not to be missed. Serving some of the counties finest food, Tudors offers a host of dining opportunities to both residents and non-residents alike. The restaurant provides a choice of the Du Jour, A la Carte or Chefs Tasting Menu which are all complimented by a highly recommended wine list. A table is reserved for guests to relax in the oak panelled lounge area before and after their meal. 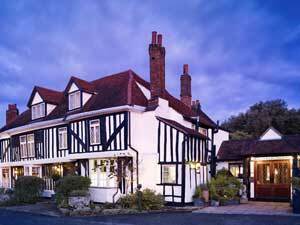 Set in the historic setting of Marygreen Manor Hotel, the multi-award winning, Tudors Restaurant offers a fine dining experience not to be missed. Serving some of the counties finest food, Tudors offers a host of dining opportunities to both residents and non-residents alike. The restaurant provides a choice of the Du Jour, A la Carte or Chefs Tasting Menu which are all complimented by a highly recommended wine list. A table is reserved for guests to relax in the oak panelled lounge area before and after their meal.